Could refinancing your car save you some precious pennies? We are used to remortgaging our homes to save money by securing a lower rate of interest. We’re getting better at switching energy tariffs and suppliers to save money on our gas and electricity bills. So, is the next big thing getting a better deal on your car finance by refinancing your car? Car refinancing means taking out a loan to pay the existing balance on an existing car finance loan. For example, maybe you have a Personal Contract Plan (PCP) or Hire Purchase (HP) deal with a fair amount still to pay on it. Maybe you’re on a PCP contract and you want to take out a loan to pay the balloon payment. Maybe you took out a deal which seemed good at the time, but you’ve since realised it no longer suits your needs. Refinancing could help you find something which better suits your current circumstances. 1. 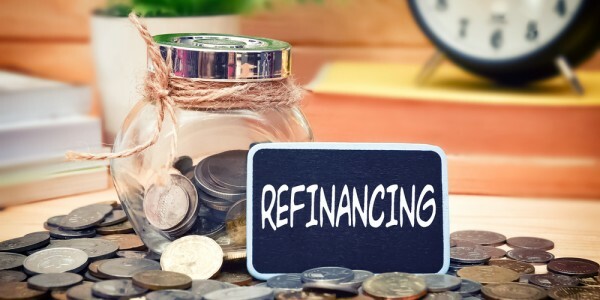 To save money - refinancing could mean you get offered a lower rate of interest which could result in lower monthly payments and a saving on the total amount payable overall. NOTE: If you take the loan over a longer period than the original deal, this could result in the total amount you pay back overall increasing so check the total amount payable before you decide if this is the right option for you. 2. To own the car – if you’re on a PCP or HP deal, the finance company will own the vehicle until the finance payment is made. So some people choose to take out a loan to pay off their PCP/HP deals (and any fees incurred) so that they can own the car sooner than if they stayed on those HP/PCP agreements. NOTE: By settling your PCP/HP deal with an unsecured personal loan, where you will own the car outright, you lose some fundamental rights under the Consumer Credit Act (CCA); you will no longer have the option to hand the car back at the end of the term and the Voluntary Termination (VT) clauses outlined within your current finance agreement will no longer be available. Make sure you consider all borrowing options so you’re certain an unsecured loan is the right choice for you. You may find it helpful to seek independent advice where necessary. Admiral personal loans could help you refinance your existing car finance loan. You can apply online or over the phone and when asked why you need a loan, just explain that it’s for car refinancing – It will officially be classed as a ‘debt consolidation’ loan. Before you apply, we can’t guarantee you’ll be accepted (it will depend on your personal circumstances, credit history, affordability and fraud checks) and be careful making multiple applications. It’s worth reading our guide to applying for a loan before you go ahead. If you’re approved, you will need to read and agree to the terms and conditions of the loan by signing your loan agreement. Please ensure you read the contract pack fully to ensure you are happy the product meets your needs.